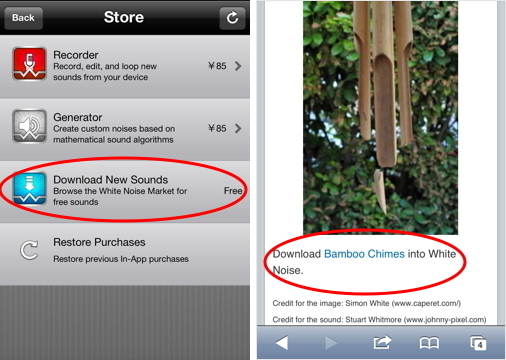 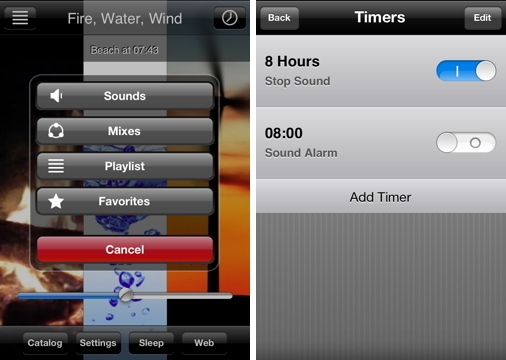 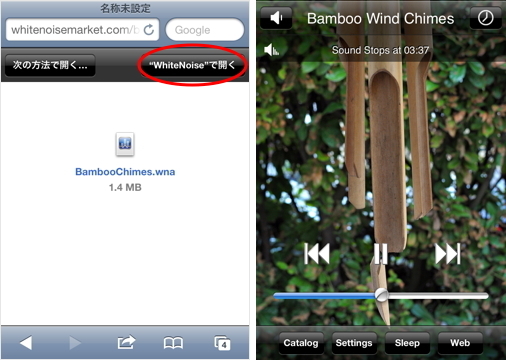 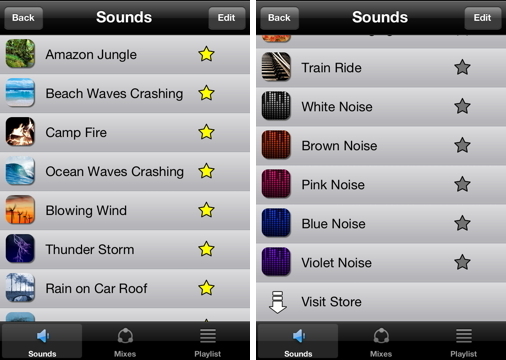 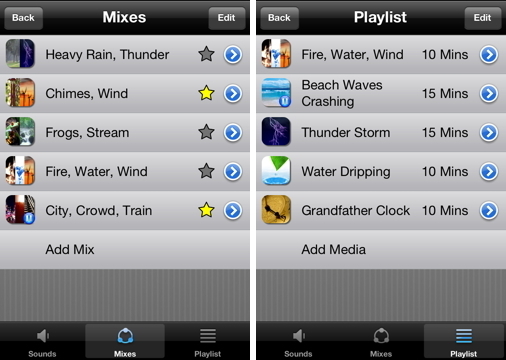 White Noise provides ambient sounds of the environment to help you relax or sleep. 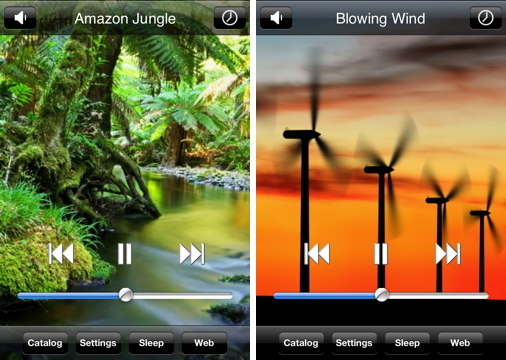 Do you miss the familiar sound of your fan or air conditioner? 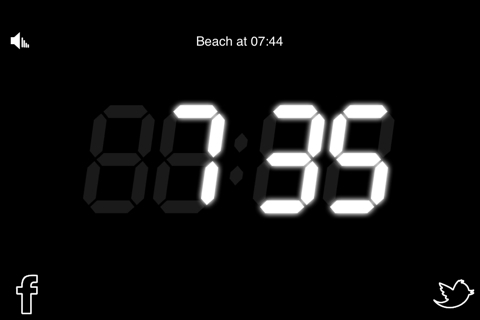 Flying on a plane and just want to nap?  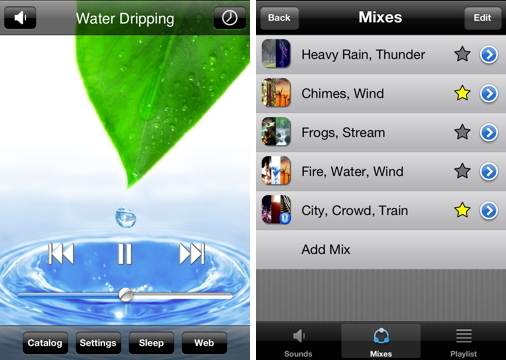 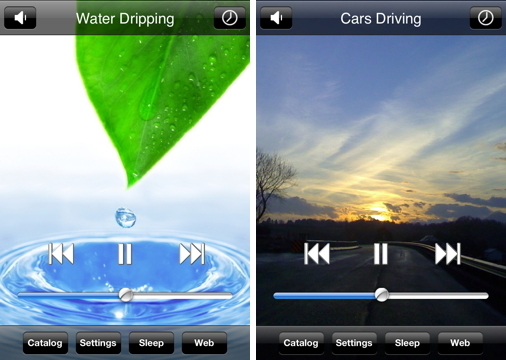 Includes high quality looping noises such as ocean waves crashing, hard rain pouring, and flowing stream water.